This page, and all contents, are Copyright (c) 1996 by Interplay Productions, Irvine, California, USA. GURPS is a registered trademark of Steve Jackson Games. 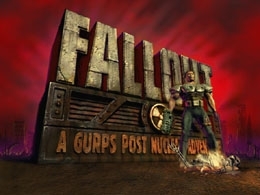 Fallout is a trademark of Interplay Productions. Interplay is the sole publisher and distributor.